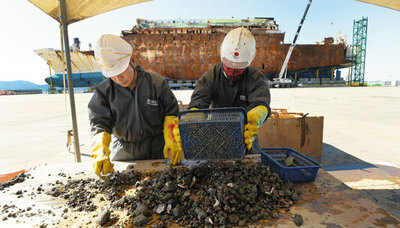 Students of Danwon High School who died in the ferry disaster on April 16, 2014 have belatedly received an honorary graduation diploma. The ceremony kicked off with a calling of the names of each student as their pictures were presented on a screen. 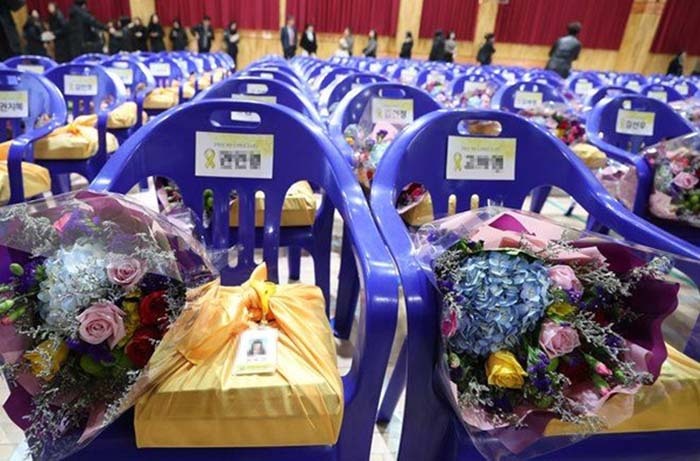 Flowers and diplomas are put on seats on Tuesday at the honorary graduation of students at Danwon High School in Ansan, Gyeonggi Province who died in the 2014 ferry disaster. More than 500 people gathered at the high school in Ansan, including Education Minister Yoo Eun-hae. There were several remembrance speeches, one of them by a fellow student. The ceremony had been postponed since 2016 as the bereaved families refused to attend it until the bodies of several missing students were recovered. But although two students' bodies have never been found, the families agreed to it this year.